Southeast Lineman Training Center is the premier training school for apprentice lineworker training; consistently producing an elite group of highly trained and certified graduates. We accomplish this through a training style and philosophy that is unlike any other program offered in the country. This philosophy and style have earned us an outstanding reputation in the industry.  Many companies now require students to attend SLTC before they will be considered for employment. Because only the most determined students finish the intense 15-week program, our graduates are well equipped to enter the utility industry and have a strong sense of accomplishment.